Female photographers were still a novelty in 1891 when Beatrice Tonnesen learned the trade from Oshkosh studio photographer Cook Ely. Her father, Tonnes Tonnesen, had come from Norway to the United States in 1849. He first settled in Butte des Morts and later opened a store in Winneconne. In 1858 he married Mary E. Sumner. The couple had five children, Beatrice being born in Winneconne on January 24, 1871. In 1876 Tonnes retired and moved his family to Oshkosh. In an interview for the September 29, 1954 issue of the Oshkosh Daily Northwestern, Beatrice recalled that, “The family soon recognized that art was to be my career, so I was given all the art opportunities that Oshkosh offered.” Her sister Clara suggested that she learn photography, so her mother made arrangements with Cook Ely, Oshkosh's most prominent portrait photographer, to teach her the art for $100. She overcame the challenges of being hearing impaired and opened her first portrait studio in Menominee, Michigan in 1895. 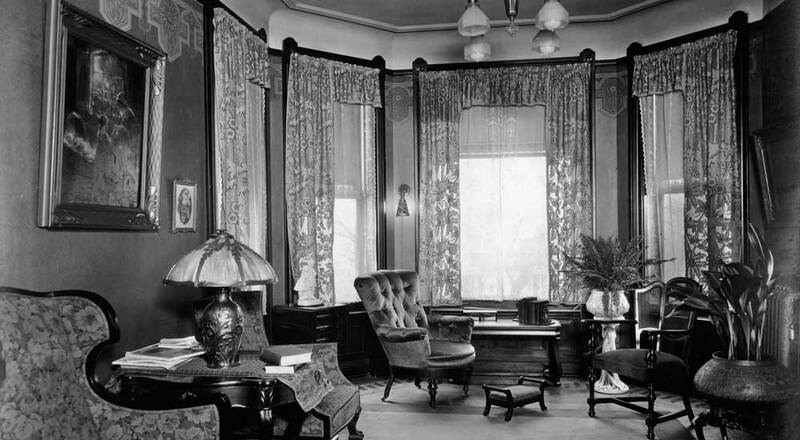 In 1896 she and her widowed sister, Clara Tonnesen Kirkpatrick, opened a studio on Michigan Avenue in Chicago. She rapidly gained notoriety for the quality of her work. It became fashionable for Chicago's wealthy to have their portraits taken by her. The Tonnesen sisters are credited with the creation of modern commercial photography in 1897. “One day we thought up a fine scheme. We would make advertising pictures using live models. It had never been done before,” she later recalled. Beatrice actively sought out beautiful women, handsome men, and adorable children to serve as her models. The beautiful female models she used became known as ‘Tonnesen Girls'. 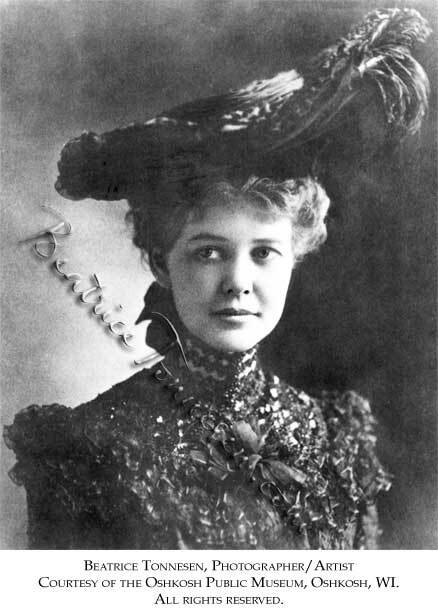 The photographs she made were marketed to large companies in Chicago who purchased the rights to use them in their advertisements. Her “scheme” of commercial photography became so successful that she soon had little time for portrait photography. In one year alone she earned over $20,000 (about $200,000 in today's money). She maintained her lucrative business and studio in Chicago until 1930 when she retired and returned to live with her sister in Winneconne. Beatrice continued her artistic career and in the early 1940s developed an unusual sculpturing medium using clinkers; the residue from burned coal, mixed with clay, enamel and paint. She called her creation “Mars Ware” and made original works of art in the forms of candleholders, jewelry, and exotic shaped animals. Many of her pieces were featured in a short film produced by Paramount Pictures. She also continued making photographic portraits through the Brown Studio. By 1954 she had moved to St. Mary's Home in Oshkosh where on May 12, 1958 she passed away at the age of eighty-seven. Scott Cross is Archivist for the Oshkosh Public Museum in Oshkosh, WI. This article was first printed in Voyageur: Northeast Wisconsin's Historical Review, Summer/Fall 2004.